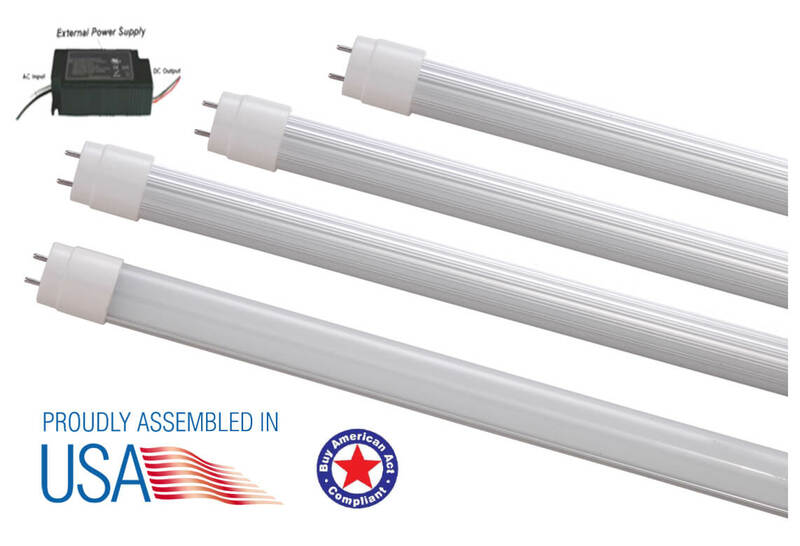 The PATRIOT EXTERNAL TUBE can dramatically reduce energy usage up to 70% providing significantly lower operating costs. The special circuit design avoids the single broken LED influence problem. 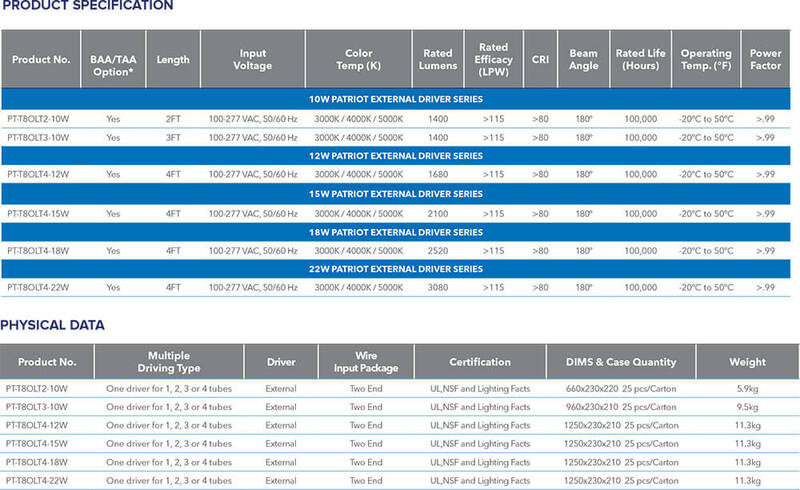 Utilizes high efficiency class 2 constant current driver. 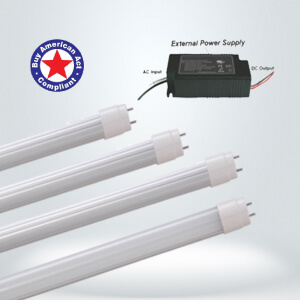 One driver for 1, 2, 3 or 4 LED tubes available. 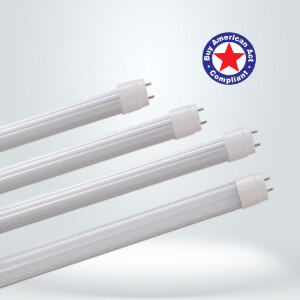 Our EXTERNAL TUBE are backed with our industry-leading 100,000-hour rated lamp life and 10-year warranty. See Ordering Model table below for our BAA compliant products. Contact us for pricing or more information. High efficiency constant current drive system, with heat protection system can work under unstable voltage. 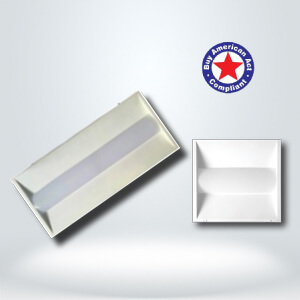 SMD 2835 LED chips, Soft and wide light emitting. Efficiency greater than 115 LPW. Power Factor: More than 0.99. Limited Warranty: 5 years, 10yr Optional.